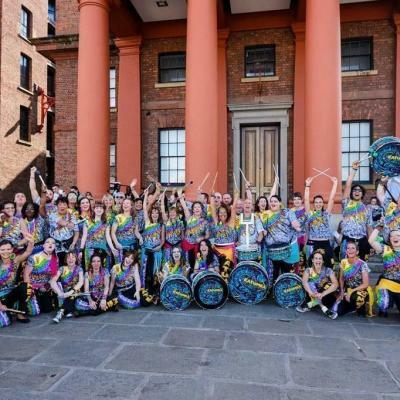 KATUMBA BLOCO – our community band – truly represents what Liverpool is about; welcoming to all, fun, colourful, and full of character. With weekly rehearsals and regular gigs, it’s a great opportunity for members to make friends, learn a new skill, build confidence and become part of a family! Get in touch if you want to join our group. 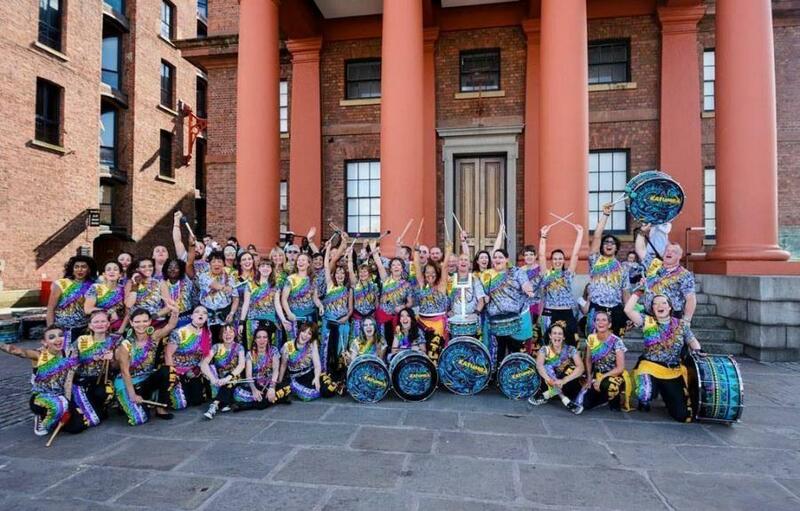 Our outreach project BEAT IT focuses on health and wellbeing across Merseyside and the positivity that group drumming can bring to people’s lives. We also deliver projects with organisations such as Everton in the Community, National Stroke Association and Liverpool Mental Health Consortium to help those who may have experienced trauma or illness. Whilst we are based in Liverpool, our community is also in Brazil! Working with BrazUka International, Katumba has visited Recife, Brazil, to donate clothes, toys and our time to teaching and inspiring socio-disadvantaged children from favela communities. During our stay, our band has also performed as part of the world famous Carnival celebrations!